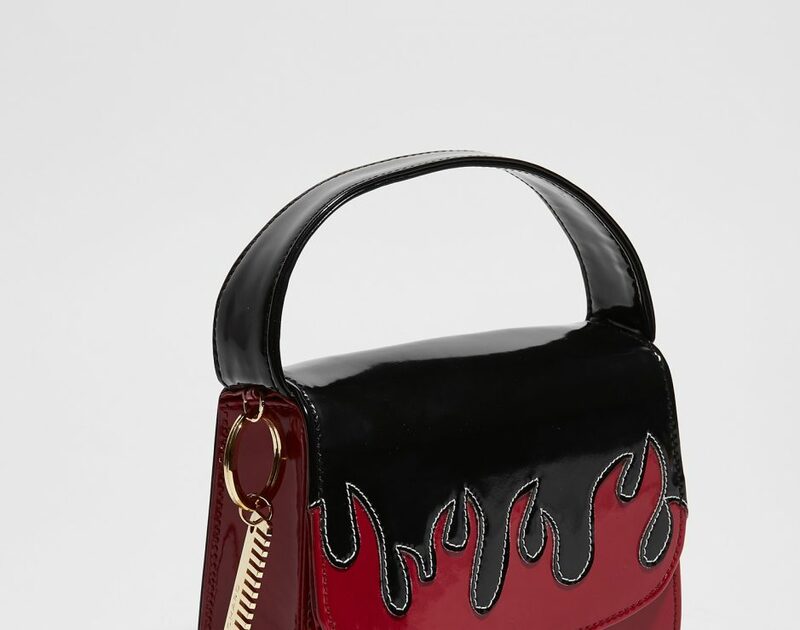 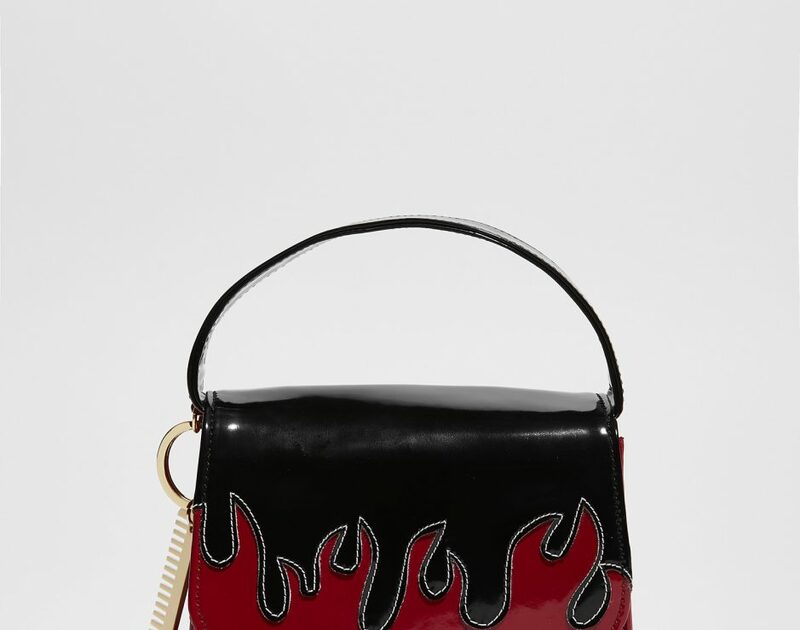 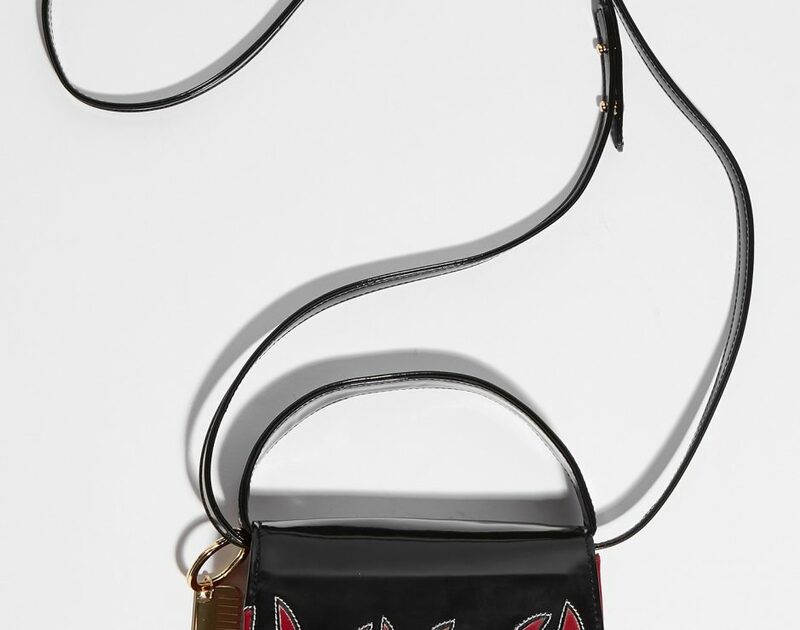 100% vegan black and red vinyl micro-bag. 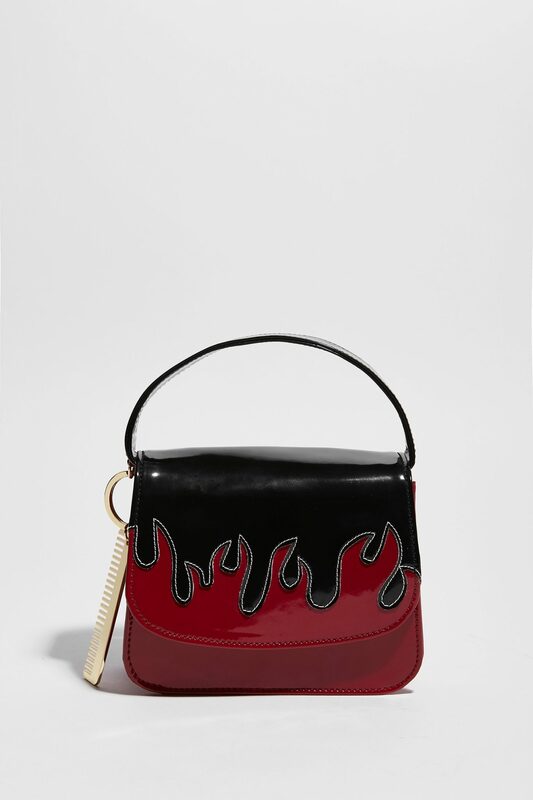 100% vegan black and red vinyl micro-bag. 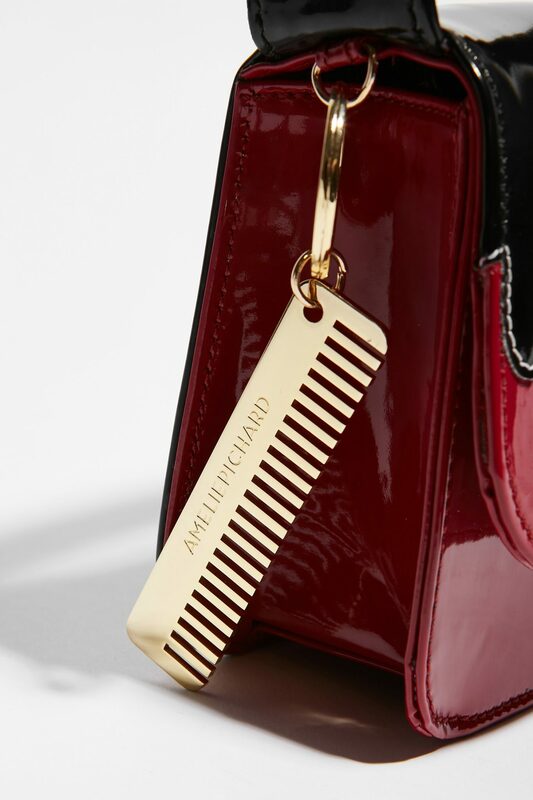 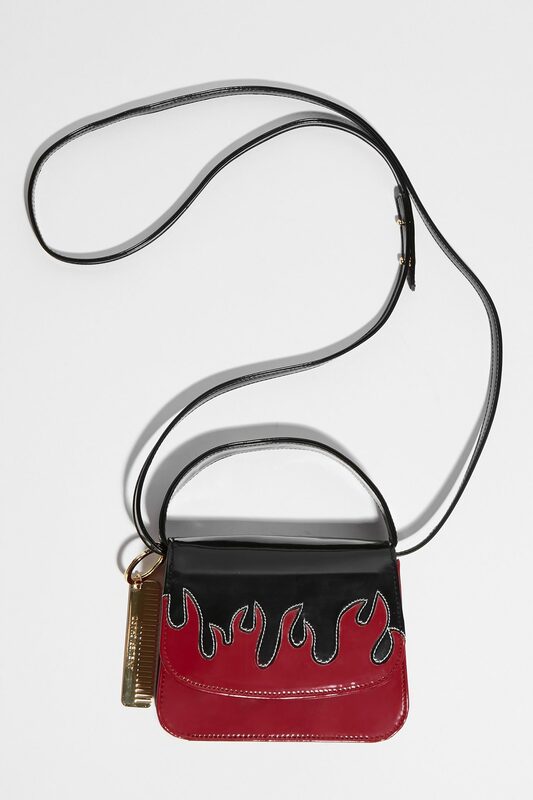 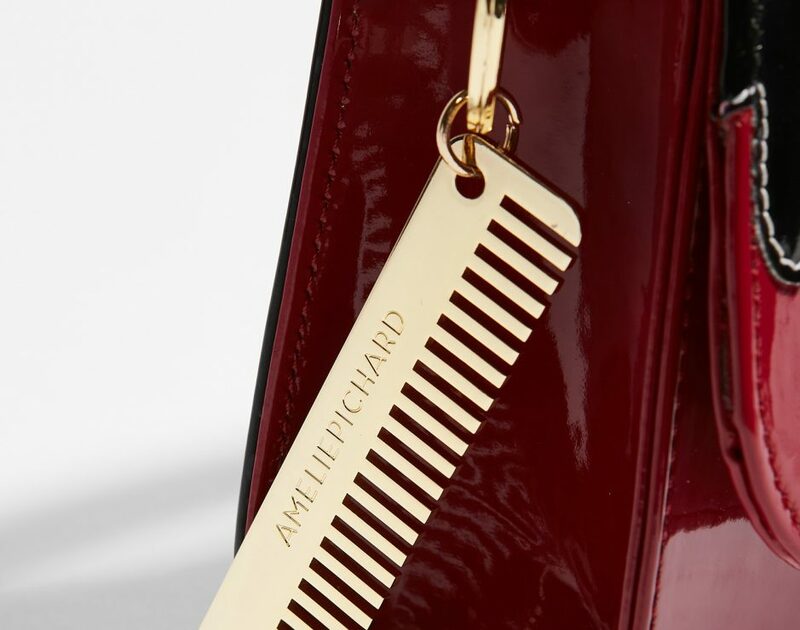 With a golden mini comb in zamac and a handle and a removable leather strap of 59,5 inches, worn cross-body or on the shoulder. 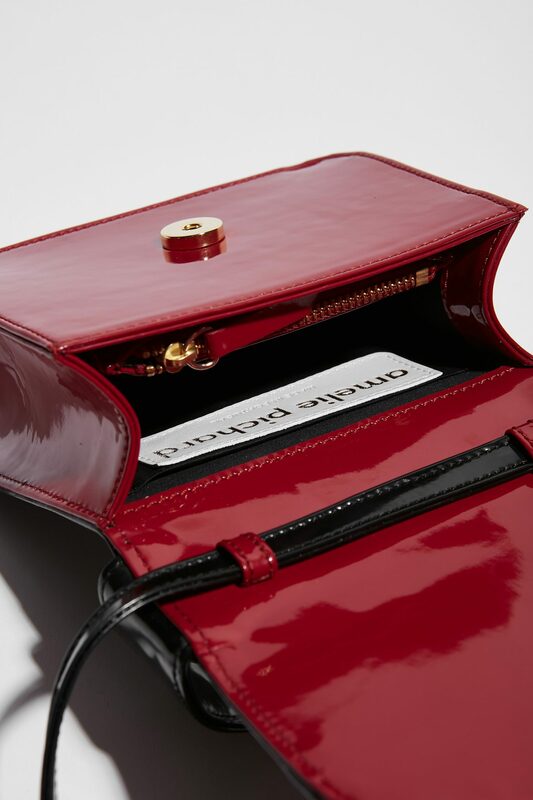 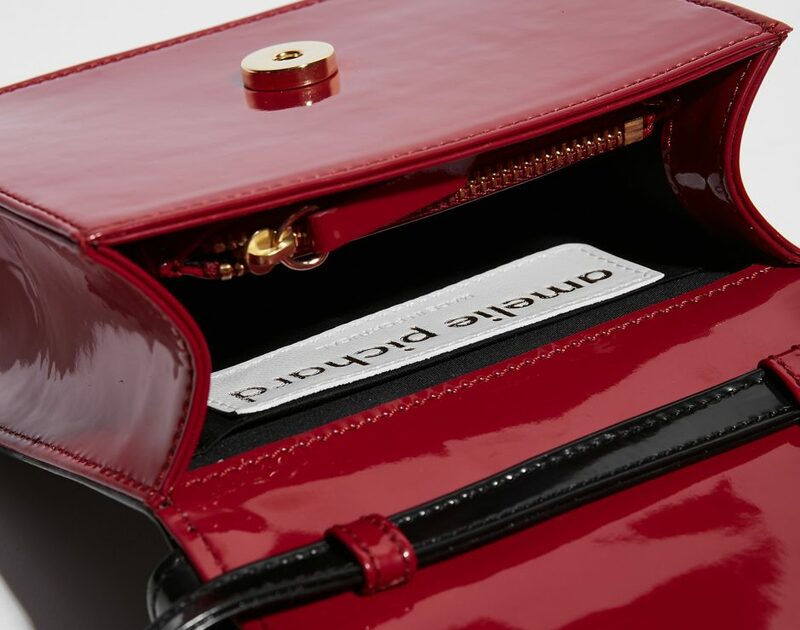 100% Cotton Lining with a magnetized wallet signed Amélie Pichard. 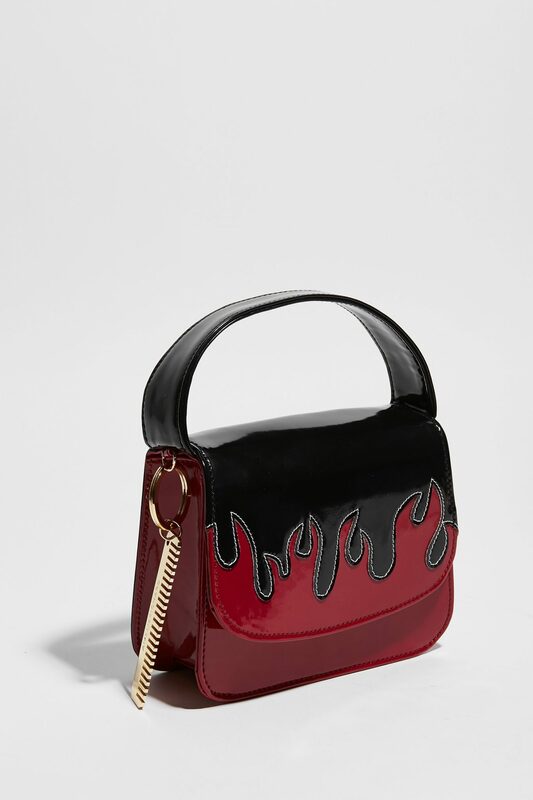 Outside Size : 6.3 x 4.7 x 2.6in.